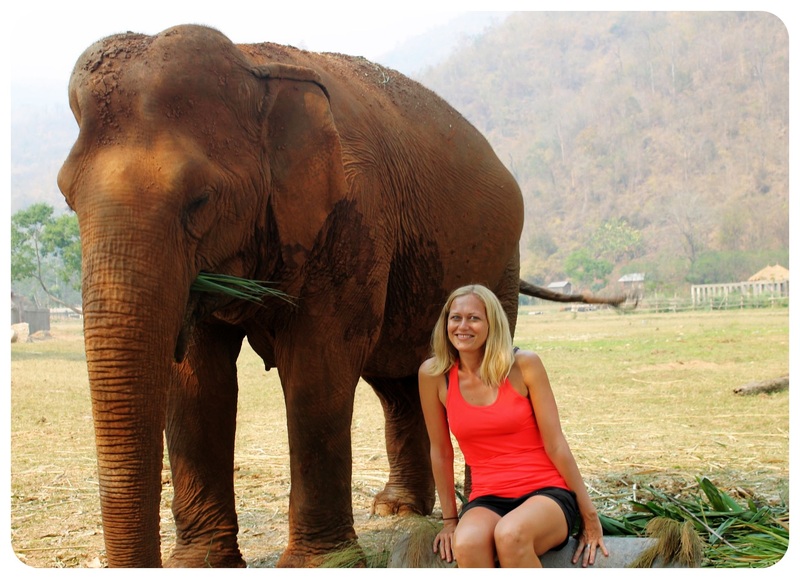 This month’s feature GlobetrotterGirl, Katrine Hyllegaard, comes from a family of travel enthusiasts. She grew up traveling up to 200 days a year with her entrepreneurial parents and this settled into her own life’s rhythm as an adult. 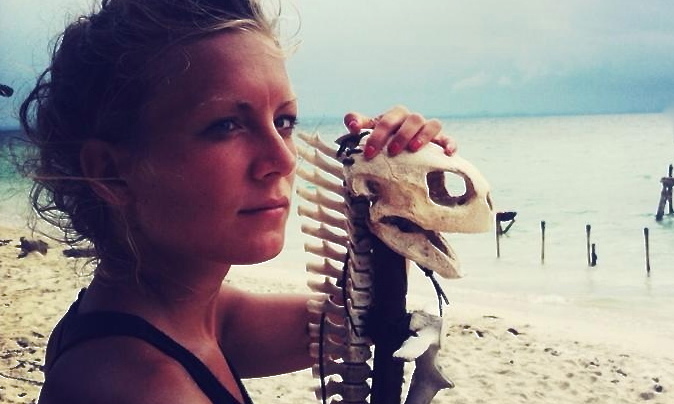 Katrine works nine months a year as a freelance Props Master on feature films, commercials, Emmy award-winning TV shows and the reality show Survivor on location in Asia. For the other three months a year she is free to travel. 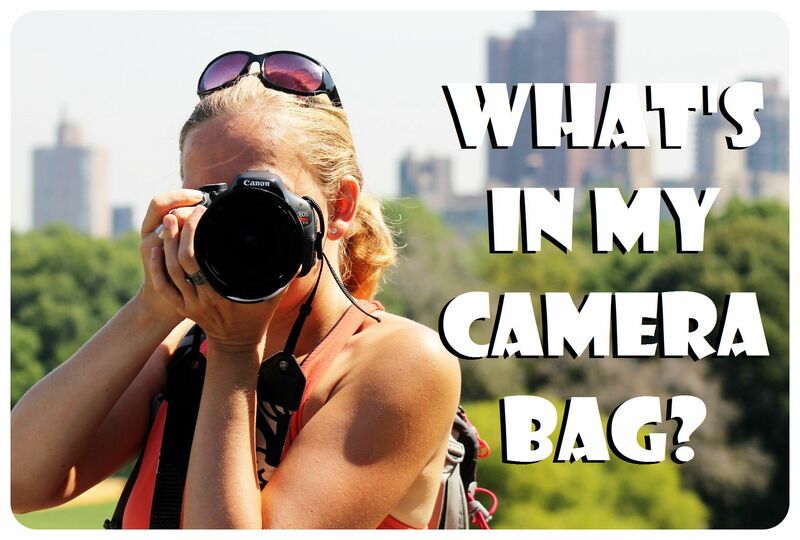 Being a GlobetrotterGirl doesn’t mean being location independent, as we see from Katrine. Instead it means integrating travel into a fulfilling lifestyle and a career you truly love. On a trip to a TV studio with her parents when she was 8, Katrine discovered there was a career path for creative people to do what she was doing at home – creating new worlds and universes and telling stories through sets and props. Today she balances nine months on the set- often on location abroad – with three months of travel. 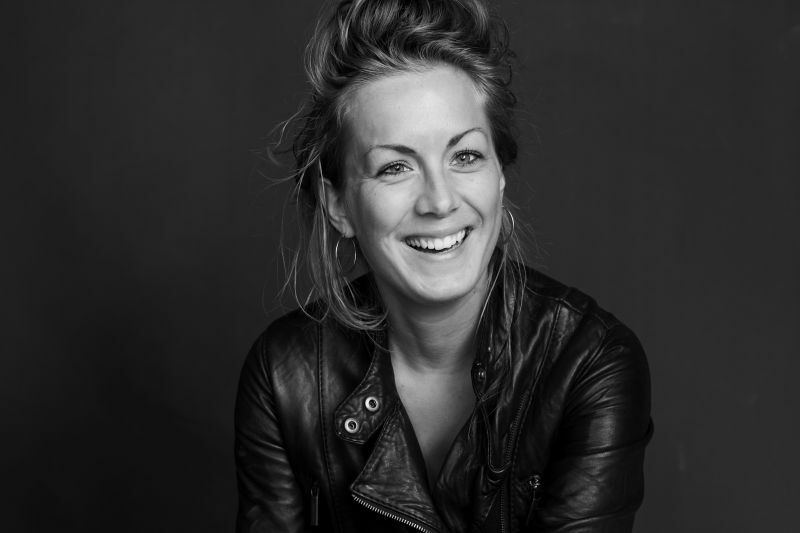 Read on to find out more about Katrine’s career in Film and Television and how she maintains her lifestyle as a true GlobetrotterGirl. You grew up traveling a lot with your family. Can you talk a bit about your background and how all that travel as a child affected your wanderlust as an adult? I grew up in a commune with more than 20 families, a common way to live in Denmark. My parents founded the cohabitation in the 70s, as a response to modern life, but more so as a solution to balance demanding careers without having to leave kids with babysitters when they traveled. My mother in particular has always had to travel for work, and she had a strong desire to show us what she experienced. My parents taught me to travel, in a way as if it were a subject in school. Traveling with my parents gave me confidence and they taught me to truly embrace experiences as I travel by keeping an open mind and heart. Now I owe many of my most memorable trips to the serendipitous kindness of strangers, and I am a firm believer that you get what you give when you travel. Do you think that this love of travel was instilled in you as a child or do you feel that anyone can become a GlobetrotterGirl? I say that all it takes to be a GlobetrotterGirl is enough curiosity to step outside of your own comfort zone. But yes, I do come from a family of travelers who taught me to see the world as my playground. I have the ability and the freedom to do exactly what I want. It only gets interesting because I choose to use that freedom. Many people could have this lifestyle but do not choose to use that freedom. You work in television and film productions as what is called a Props Master. What are your responsibilities on set? Whether you are watching a movie, a TV show or a play, if an actor touches anything, it is a prop. If it is a prop, a Props Master like myself arranged for it to be there. I am in charge of finding and managing all props that appear in the film. Props Masters work within the Art Department, and work closely with the Set Designers and Production Designers in order to create the overall look and aesthetic of the set. This often requires serious research, especially for period films. Sometimes, the team is lucky to locate exactly the materials necessary, while other times we build replicas ourselves. Production and Set designers shape the architectural environment by working with the spatial and visual expression of the sets. My job is to decorate the set and give it its final look. This could be everything from a custom built car in the garage, to a fully furnished living room or a 20 year-old hot air balloon. What films and television shows have you worked on? As a freelancer, I am fortunately able to choose among many types of jobs and employers in the industry and I have worked on feature films, commercials and two Emmy award-winning TV shows. I am based in Denmark and do much of my work in television for The Danish Broadcasting Corporation (DR) and TV2. But besides that I each year take a ‘break’ to work on the reality show Survivor, which takes a few months and is produced once a year in Asia. What is an average day like on the set of Survivor? A typical day actually begins the night before. We do a briefing every night around 9pm where we discuss the past day and what stories are happening amongst the contestants. This way the editorial team knows what to keep in focus on the following day. What is most important for my team is the focus on games and the optional rewards contestants can win, as we have to create those the next day. The next day begins when the sun comes up if there is a big game to be built. If nothing needs to get built, work typically starts around 8am, either by working in the carpenters’ area doing props or by reviewing or testing games with the game producer and chief editor. Days are long and easily run from sun up to sun down, and the nights with island councils the day ends around midnight. And we’ll still be up with the sun the next day. Working on the set of Survivor is much more of a lifestyle than a regular job, and surely some of my favorite work of the year! How did you get started? What is the career path to become a Props Master? Many people go the academic route, through design institutes or artistic academies. However, it is also possible to start through on-the-job training, or the way I did it, by following a mentor. No matter how you choose to start, it’s a long, hard road to have success in this field. People often assume that having worked on school plays or college productions can lead right to Broadway, but it takes talent and a ton of determination to work your way up the ladder within the industry. As a child, I admired both art and construction work and knew that I wanted to pursue a creative career, though I wasn’t sure in what form. When I was 11, I was offered to visit a movie set. There I realized that there was an entire team of people doing what I was doing at home. They were creating sets and entire universes for their films, just like I did with my toys. I’ve always been good at tinkering and building things, making little toys and trinkets so even at that age I was attracted to the props department. Right after finishing high school I started as a trainee at the very same props department as I visited 7 years earlier. I have never regretted it for a second even though this business surely not is for everyone. Freelance life is risky and highly competitive, so if you prefer a steady job and steady paychecks, you are not going to be happy in this world of “feast or famine”. What are your hours like? Are you able to work abroad often? There is really no ‘normal’ when working as a freelancer in the TV and Film industry. No day is like the one before and projects are so varied, it is difficult to compare them. Work on a commercial can be for one week, certain television shows can keep me employed for years while others just take a month or more of my time. When we’re shooting a workweek rarely counts less than 50 hours, but on the upside, freelance salaries match the hard burden, so I can allow myself time off when I need it. I work roughly 9 months out of the year, including on location sets and allow myself a three-month break spread throughout the year. Survivor is a two-month gig produced in Asia, and I have worked on Survivor shows produced in Malaysia and the Philippines. I have worked on feature films in Europe, information campaigns in Africa and a film workshop in Guatemala a few years back. Even shows shot in Denmark can shoot wide across the country and I often have temporary homes in hotel rooms in my own country. When you are on set abroad, how do you weave travel in to your time in a different country? For example, when you are in Malaysia, do you just stay on set or do you get to know locals within the community? It varies a lot. Normally when we are working on location it is impossible to travel outside what the job requires as projects abroad are often compressed in order to minimize the time abroad. Recently, to take advantage of being in Asia, some of the crew went to Bali afterwards to relax, as did I, and then I continued on to Singapore to visit with family and my mom flew in on business as well. What are the everyday challenges of your work? Each and every day the crew has challenges and issues to struggle with on set. Weather and daylight for example, when we are shooting exterior or on location are always challenging. During preparation and research my inevitable challenge is the issue of time vs. money. When working on a TV series, I often have more time than money, whereas when shooting a commercial, time is of the essence and we often have to Fed Ex props over hundreds of kilometers to get them in on time. There are also those days when no matter how much I have planned something, it just turns out to not be right in context. Hopefully we have backups and alternatives, but if not, we’ll paint or modify it as long as it takes to get it working for the scene. Dani and I have often thought about doing consulting as location scouts, a career that seems like a great way to leverage travel knowledge within the entertainment industry. What other positions are there within Film and Television that allow you to travel and work? There are literally hundreds of different jobs in the film industry, each one requiring a unique combination of specialist skills. If your readers are looking simply for a job that involves travel, I’d recommend an industry that is less competitive and specialized, ha! But if creativity is what lures you in to the job, then there are films shot all over the globe. You can work as a costume designer, make up artist, location scout or other jobs and, as I do, travel along wherever the film is shot. Your best trip: Where was it, and what made this trip such a highlight of your travels? I traveled across Cuba in 2009 with a friend. In addition to wanting to see the crumbling baroque buildings and the American vintage cars in Havana, we wanted to follow in the footsteps of Che. We wanted to see everything on the island, and do it by hitchhiking and traveling with locals. It took ages that way, but we started in Havana, headed north to Vinales and then south to Guantanamo… I have never experienced such friendly, accommodating and helpful locals anywhere like in Cuba. I absolutely love the worlds created by author Haruki Murakami. I have read all of his books, most recently 1Q84, which I truly loved. Above all else, when it comes to story-telling, I am spending much more time on film an TV than on reading. While waiting for Homeland Season 3, I just went through Luck and Orange is The New Black. My favorite series of all time are Six Feet Under (2001), Riget (Lars von Trier – DK, 1994) and Twin Peaks (1990). What travel quotes do you find inspiring? “Life is a journey not a destination.” I see this as a mantra at work, while traveling and in my personal life. How many countries have you traveled to? Sweden, Norway, Italy, Germany, United Kingdom, Ireland, Spain, Switzerland, Lichtenstein, Turkey, Greece, Portugal, France, Monaco, Belgium, Nederland, Luxembourg, Poland, Kenya, Tanzania, Uganda, Swaziland, Morocco, South Africa, Malaysia, Indonesia, Philippines, Singapore, Vietnam, Laos, China, India, Guatemala, Caribbean, Greenland, Cuba, Canada, Oman, United Arab Emirates, USA (11 states). 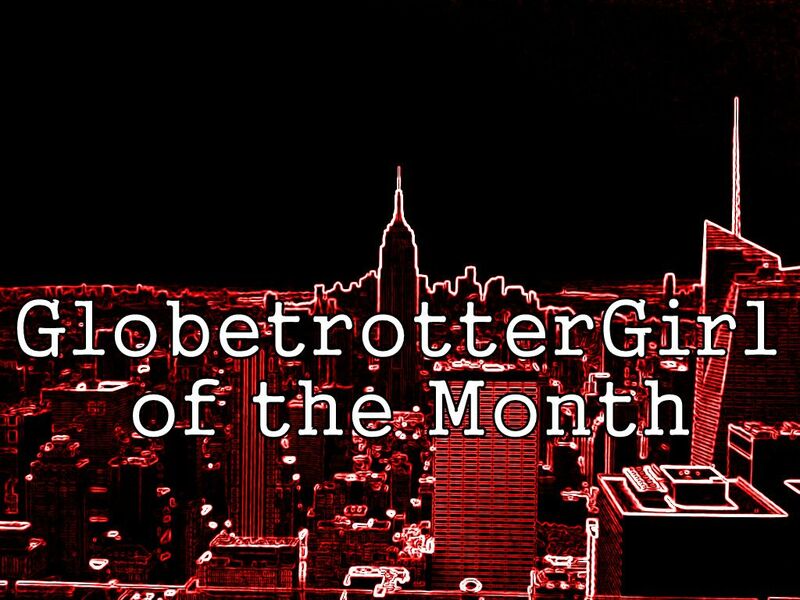 Your best travel advice: As a GlobetrotterGirl of the Month, what words of wisdom can you share about incorporating travel into your lifestyle? One of the best things about traveling is what it can teach you about the world, so try being a traveler more than a tourist. Go local. Slow down. Go with the flow. Use public transport even though it might take longer than going with a cab. You don’t need to see everything in one day, or even cross off everything on your itinerary while you’re away. It’s so easy to get caught up in the frenzy of wanting to see it all that everything becomes a blur. The beauty and originality is often what you experience between the sightseeing. Having a sense of humor about whatever unexpected issues pop up is a great way to avoid getting stressed when you have no control over the situation. Finally, write postcards, not emails. Bring back and pass on the images that got us wanderlusting in the first place. How can people learn more about working in the entertainment industry? You can do all of the usual things like looking up universities that provide courses in Scene Design or go to film school. However, I’d suggest checking out the bonus material at the end of a DVD. This way you find out so many details about the way things work behind the scenes that can really whet your palate for what this type of work is all about. These are glimpses into life on the set that you won’t pick up just by watching the film. that sounds like such a cool job! Nice interview! I agree traveling teaches you to be a traveler more than a tourist – go local, slow down! Finally people are waking up to the true meaning of traveling. I like this interview, I’m also a fan of Survivor and I must say I love the concepts of their games, the huge setups and the props. No wonder it’s from the great girl we have here.